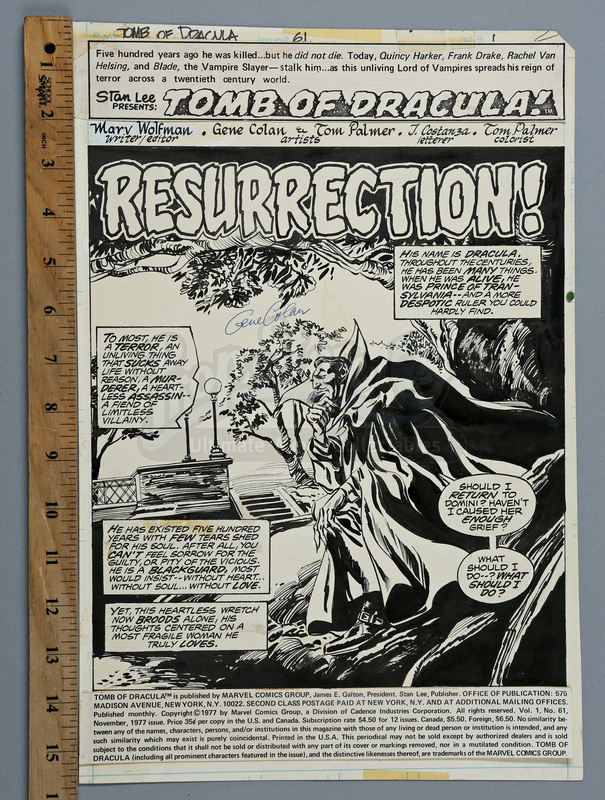 Hand-drawn page one title splash artwork by Gene Colan and Tom Palmer featuring Dracula for Tomb of Dracula #61. 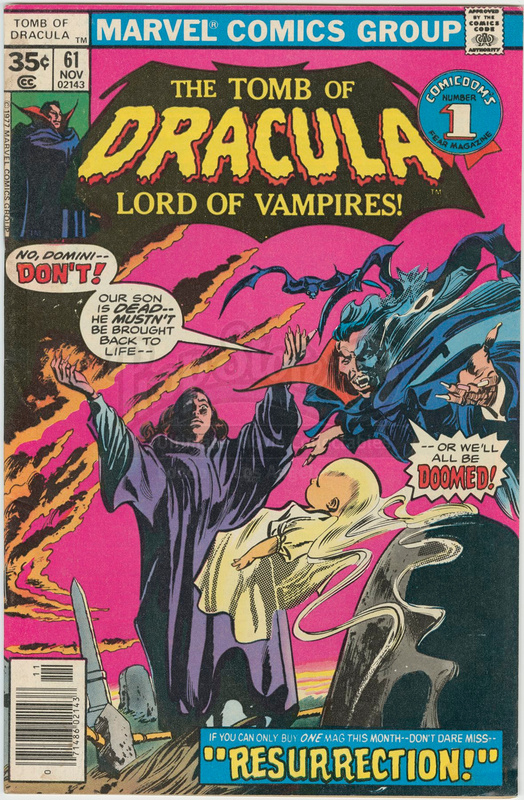 In this issue, Dracula attempted to prevent his love Domini from initiating a summoning ritual which would bring back their dead son, Janus. This original pencilled-and-inked artwork is drawn on Bristol board by penciller Gene Colan and inker Tom Palmer. 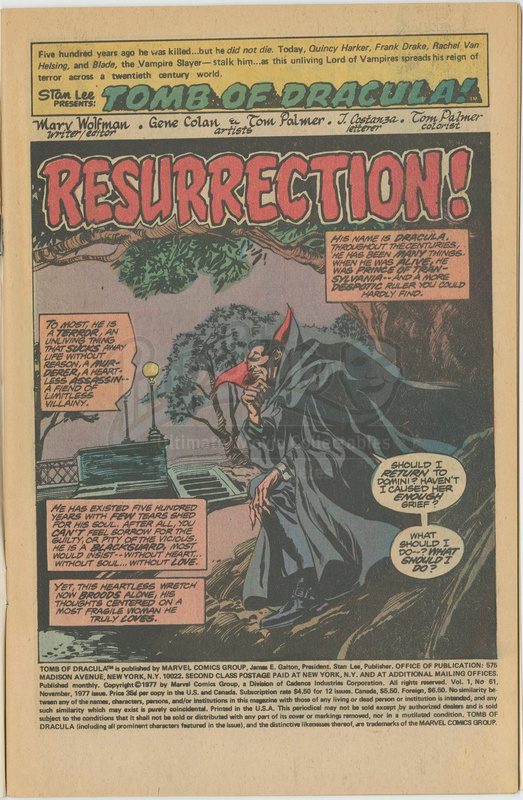 The splash page shows Dracula pondering if he should return to Domini. 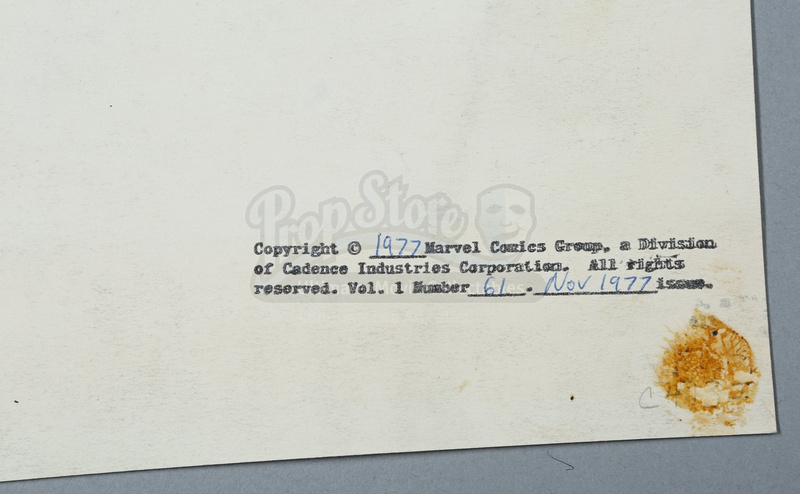 The title art is pasted to the top of the sheet, while an indicia with publishing information is pasted to the bottom. 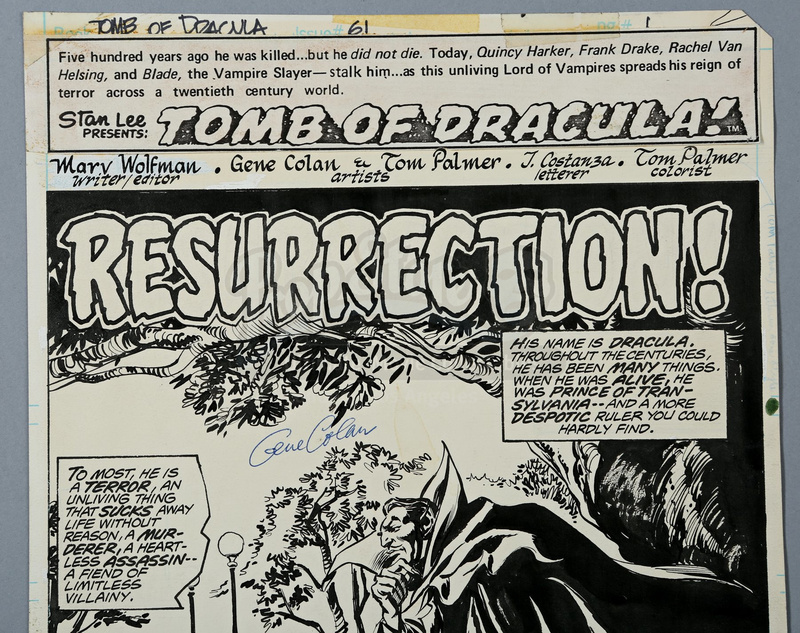 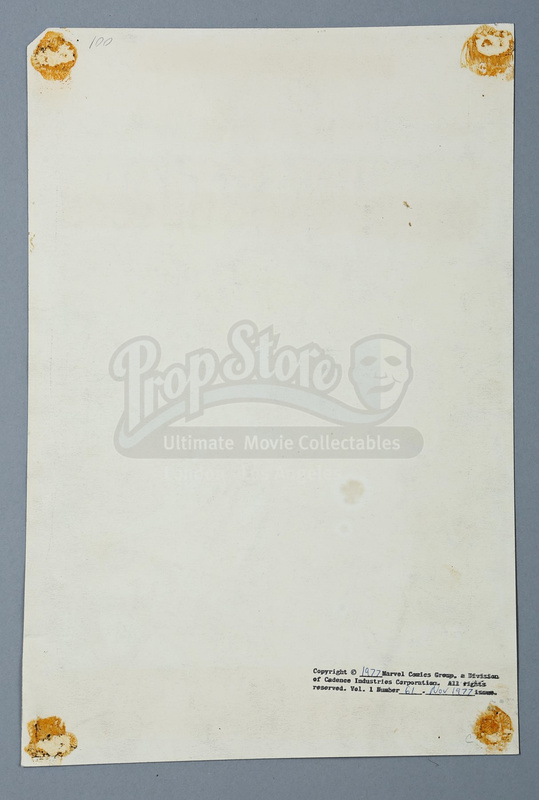 Handwritten at the top of the sheet is “Tomb of Dracula” and “61”. 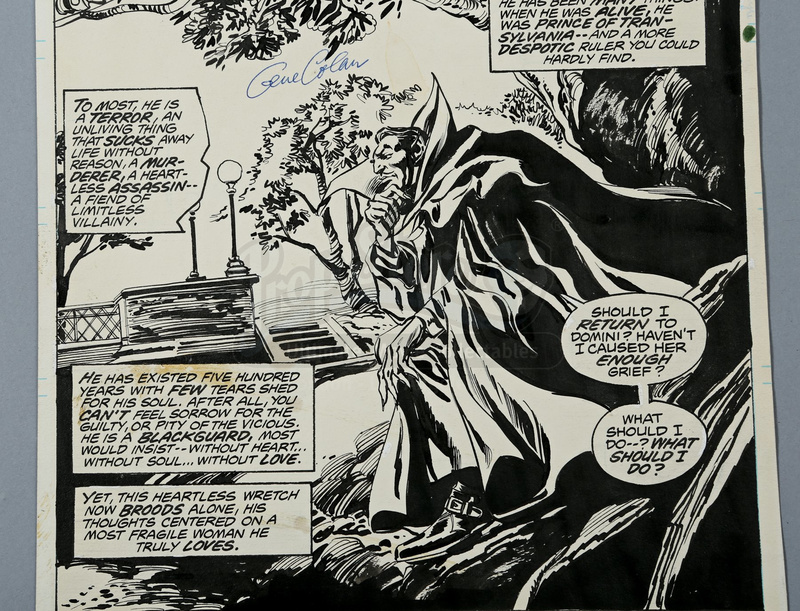 The piece is signed by Gene Colan in blue ink. 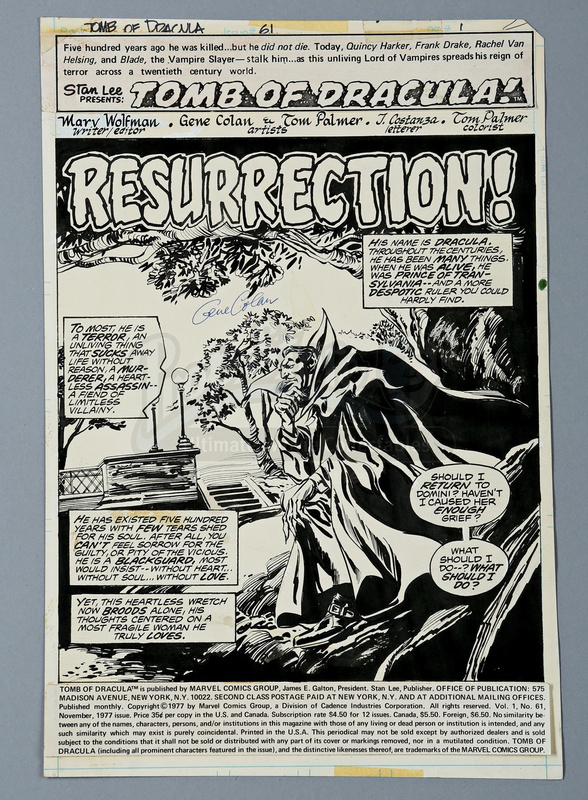 On the back of the artwork is a Marvel Comics Group stamp.